“Their work has provided fundamental knowledge of how a living cell functions and is, for instance, used for the development of new cancer treatments,” the Royal Swedish Academy of Sciences said in a statement awarding the 8 million Swedish crowns (€861,693). Thousands of changes to a cell’s genome occur on a daily basis while radiation, free radicals and carcinogenic substances can also damage DNA. o keep genetic materials from disintegrating, a range of systems monitor and repair DNA, in processes that the three scientists helped map out. Mr Lindahl works at Britain’s Francis Crick Institute and Clare Hall Laboratory, while Mr Modrich is a researcher at the Howard Hughes Medical Institute and Duke University School of Medicine in the United States. Mr Sancar, who has US and Turkish citizenship, is a professor at the University of North Carolina. 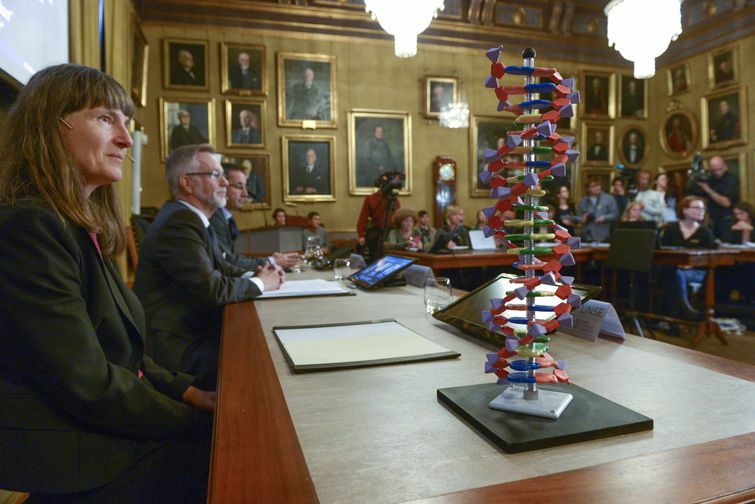 Chemistry was the third of this year’s Nobel prizes. The prize is named after dynamite inventor Alfred Nobel and has been awarded since 1901 for achievements in science, literature and peace in accordance with his will.